It’s really simple. 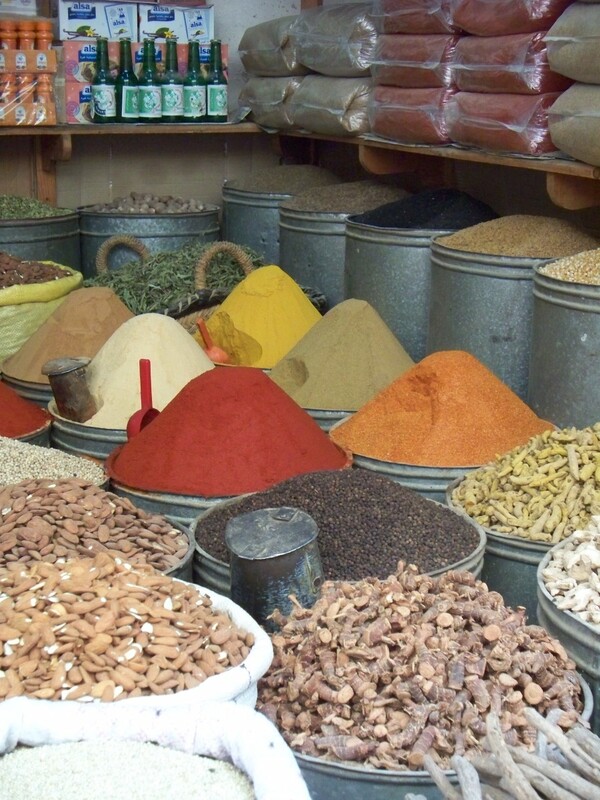 In just about every city, town or village in the developing world, there is a central market (or bazaar, as it’s known in Muslim countries) that serves as the thriving economic and social heartbeat of the community. The urban wealthy might patronize modern supermarkets and malls, but the vast majority of locals depend on the central market for almost all of their daily purchases. The central market can be indoors or outdoors, big or small, but it usually offers everything you can imagine, and I mean everything! Sheep eyes, cow heads, goat testicles, old toilets, camel saddles, amulets and potions to ward off evil spirits — we’ve seen all of that and much, much more in central markets during our travels. Fortunately, they also offer more ordinary things like oranges, shampoo, clothing and soccer balls. Buying a soccer ball in the market (or two or three) is a great way to interact with the locals — you go from being detached observer to active participant who has a wonderful excuse to interact with people. It gives you the opportunity to practice (or mangle) the language if you speak a few words of it. If you don’t, you get to play charades, which amuses the locals to no end. When I lack the vocabulary, I’ll pantomime a ball, then kick my foot and say “Messi” or “Barcelona.” The locals laugh but they always seem to catch my drift and point us in the direction of the soccer ball vendors. When it comes to balls, size matters! Make sure you select a size 5 soccer ball, which is the official size and weight of balls used in games. The sizes are printed on the balls, so it’s easy to pick out the right one. If it’s the local custom, William plunges into hard bargaining. Sometimes I cringe because he goes at it so forcefully but at the end of the transaction the shopkeepers always pat him on the shoulder, shake his hand and smile. In a vigorous bargaining culture, they enjoy the heated back and forth as much as he does! 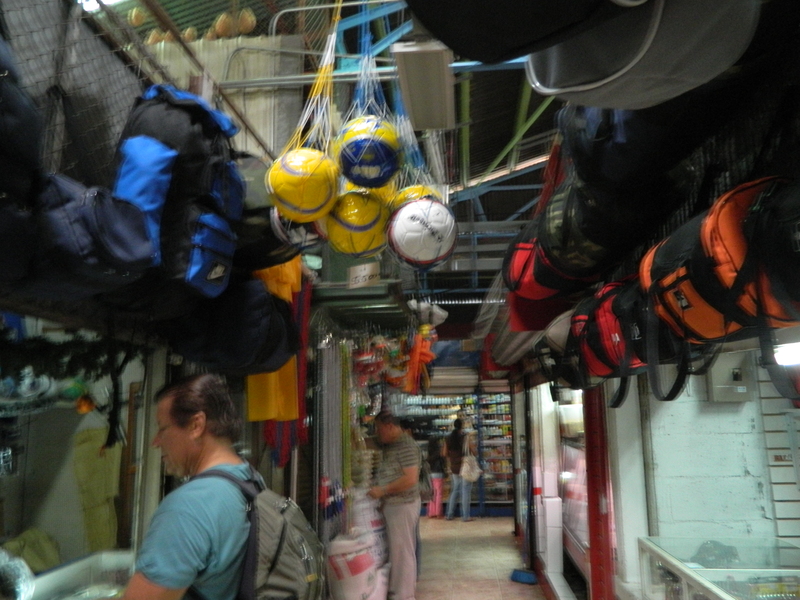 Not all cultures bargain aggressively — in Nicaragua and Costa Rica there’s a bit of give and take but it’s considered rude to be too pushy — but don’t be afraid to ask for a discount if you’re buying more than one ball, especially if you can explain to the shopkeeper the reason you’re buying them. (You can even pantomime this by pointing to the balls and then pointing to kids…) The vendors we purchased from in Central America were delighted with what we were doing and were happy to serve as co-conspirators in our attempts to spread a little joy by taking a little off of the price. It all ends up a win-win when you make your purchase in the central market — you get immersed in the scene, the local economy gets a little boost and, most importantly, you score the means to Travel With Balls. GOAL!